Even when the weather is gloomy and grey, this beautiful metal art wall hanging will bring a little sunshine to your day. This colourful metal sun features a handsome face with almond-shaped eyes, a slender nose and a slight grin. Rays in red, yellow and orange surround the face and there are holes cut into every other ray to add style to the piece. 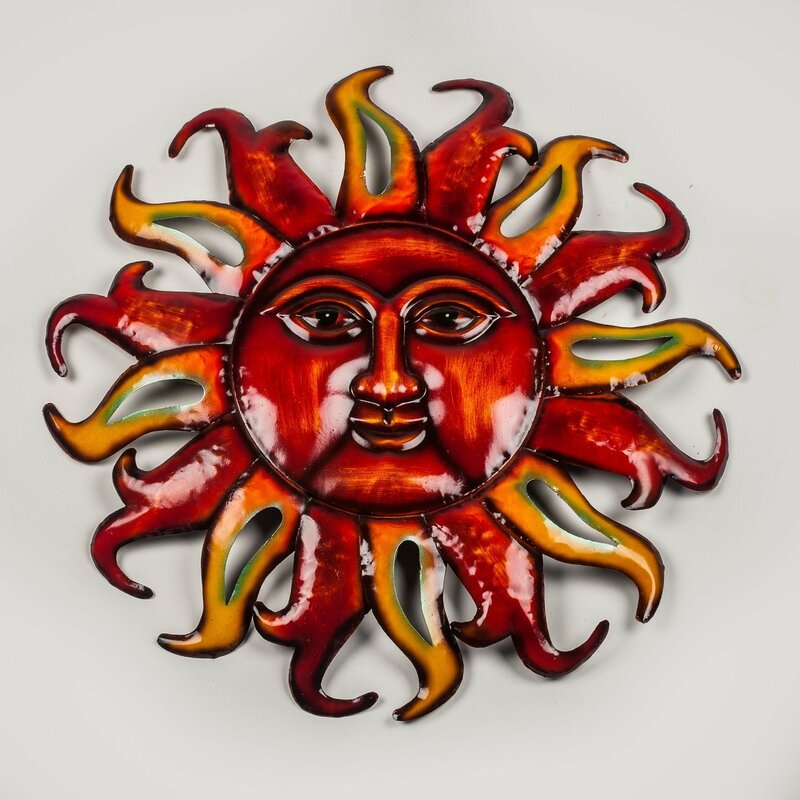 The Enamel Sun is a bright wall decoration with a ring hook on the back for hooks. the Sun is a red colour and has a face in the centre. The outer rays of light are burnt red, orange and yellow coloured.